A COUNTY Durham pensioner who built a replica steam locomotive from scratch has received the county’s highest honour. David Young, 80, from Fatfield in Washington, spent more than 6000 hours over three years creating a working replica of a long-lost narrow gauge locomotive with only one surviving photograph of the original, engravings and some wheel measurements to guide him. On January 10, 2016 a fire was lit in the replica of Stephen Lewin 0-4-0WTG Samson for the first time. Lewin’s Poole Foundry, one of the more obscure British locomotive builders, supplied its second railway engine in 1874 to the London Lead Company for use on the mile-long Cornish Hush Mine tramway to the south of Weardale. It is believed that Samson was scrapped in 1904. 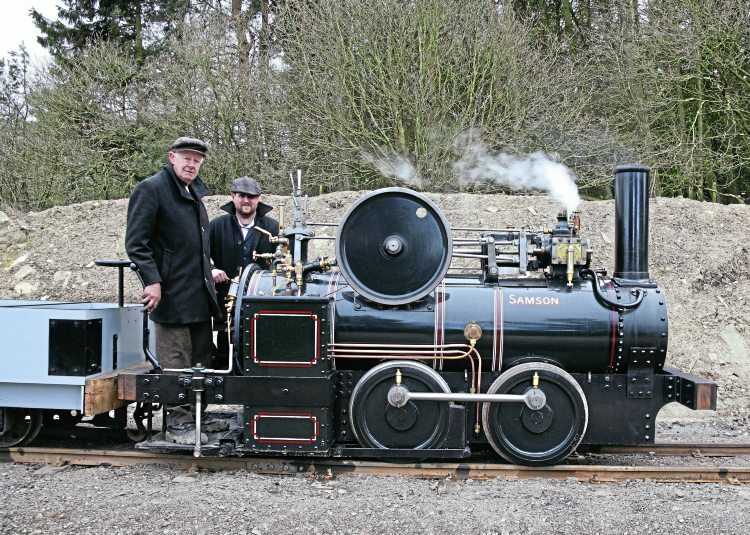 The new Samson, now based at Beamish Museum, has been built to 2ft gauge rather than the 1ft 10in of the original. David’s great-great grandfather, Thomas Young, worked at Hetton Colliery Engine Works and was involved in the building of pioneer locomotive Hetton Lyon No. 2. The remains of that locomotive are incorporated in the 1822-built Hetton Lyon engine, also displayed at Beamish.